Port Elgin has been viewed as a Maritime Port of Call for more than 400 years. Prior to the arrival of European settlers the Mi’kmaq established summer hunting and fishing camps on the banks of the Gaspereau estuary. Evidence from this era, including primitive stone tools and arrowheads can still be found along the beaches of the Gaspereau River. 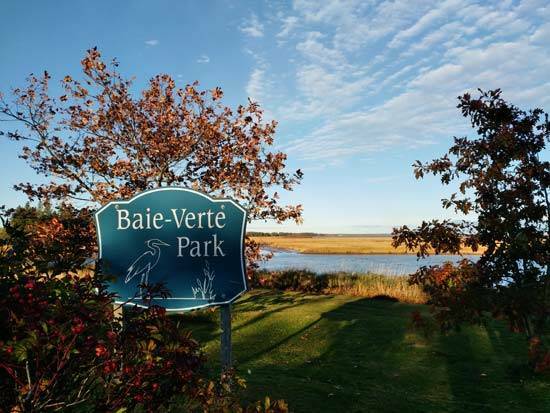 Called Baie Verte for the bright green saltwater grasses which grow in the bay, the Acadian community that was established there in 1690 soon became a major centre on the overland trade routes between the Bay of Fundy and Quebec City. In 1751, the French constructed Fort Gaspareaux at the mouth of the Gaspereau River. After the fall of nearby Fort Beauséjour in 1755 the British took possession of Fort Gaspareaux, renaming it Fort Monckton, after their victorious commander, Col. Robert Monckton. The wooden fortress was burned and abandoned in the fall of 1756 when it proved indefensible against attacks from Indians and Acadian rebels. Today, the grounds of the ‘Fort’ have been designated as a National Historic Site and are also home to a marine beacon that, although located outside of the village boundary, is known locally as the ‘Port Elgin lighthouse’. 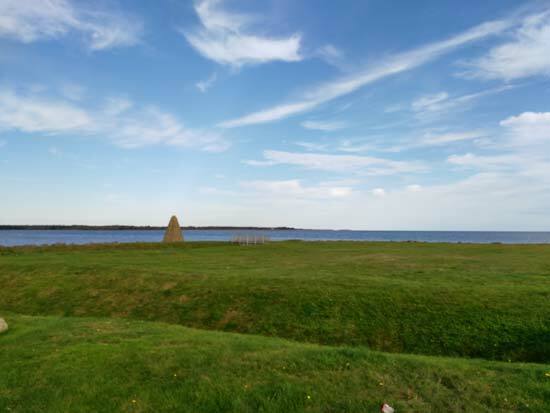 The grounds of the fort contain a small military cemetery, a fieldstone cairn, and a reconstructed ditch outlining the basic configuration of the original bastion. The ruins of several original French buildings, including the commandant’s residence, storehouse and the foundation of two blockhouses still remain buried at the site. Following the Expulsion of the Acadians in 1755, several waves of immigrants arrived to the Northumberland coastal area including New England Planters, Yorkshire settlers, Loyalists, returning Acadians, Irish and Scots. The small hamlet that soon developed was known as Gaspareaux Town; the name Port Elgin adopted in 1847 in honour of Lord Elgin, then Governor-General of Canada. Completion of the New Brunswick and Prince Edward Railway in 1884-85 provided a vital link to the Prince Edward Island ferry crossing at Cape Tormentine and the Intercolonial Railway in Sackville. Factories, mills and homes soon crowded Spring Street between the railway tracks and a small bridge crossing the river, known as the ‘slab’ bridge, for the materials with which it was built. A steel railway bridge constructed in 1917 originally operated as a hand-cranked swing bridge, allowing tall-masted schooners entrance to the Gaspereau River. 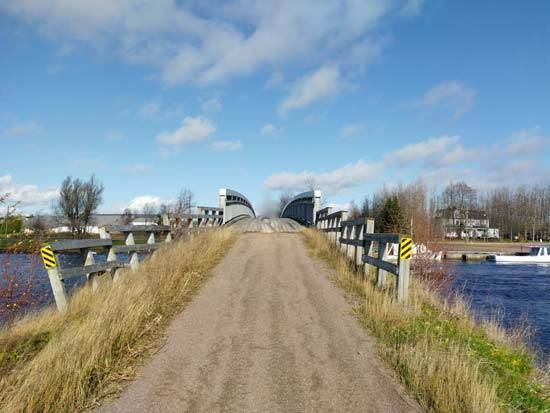 Now part of the Trans Canada Trail, the bridge, as well as the dismantled rail bed, functions as a recreational trail. As a result of its rapid growth and prosperity Port Elgin became New Brunswick’s first incorporated village in 1922. By this time the community boasted an arena, race track and agricultural exhibition centre, as well as streets lined with as many as 40 stores and businesses, including a carriage factory, blacksmiths, canneries, lumber mills, woollen mills, shipyards, and dry good stores. Port Elgin’s most prosperous period was lead by Fred Magee, an industrialist and provincial politician who established fish and vegetable processing plants in the village as well as in Pictou, Nova Scotia. During that time Mephisto brand products lined grocery shelves the world over. Although no direct Magee descendants survive, reminders of his successful business empire remain. His large, lustrous home on East Main Street now houses the Magee Senior Citizen’s Complex while the adjacent three-storey building, at one time the offices of Fred Magee Limited, previously housed the municipal office, fire department and public library. We invite you to come to our little village, explore our history, make new memories for you and your family and see for yourself why Port Elgin remains your Port of Call!